Here’s a quick review of all the Nats individual player awards dating to the franchise’ move to Washington. Updated for 2015 after one Nat cleaned-up in the 2015 post-season awards. The whole XLS showing all of this is available via the Links section to the right or directly in Google XLS here. Bryce Harper now has an MVP, a Rookie of the Year and a Silver Slugger to his name. 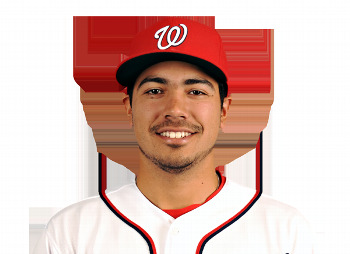 Prior to Harper’s 2015 win, our best MVP showing was Anthony Rendon‘s 5th place last year. We still havn’t come really that close to a Cy Young winner; Gio Gonzalez‘s 20-game winning season in 2012 remains the closest we’ve come. The Nats have had two Manager of the Years; both years they won the division. And both were dismissed (one with prejudice) the following season. Like most pundits, clearly this award is flawed. Lastly, we’ve had a couple of Gold Glove recipients and more than a few Silver Sluggers. While we wait for the Rule-5 results, I thought i’d throw a fun little post out there. Inspired by James Wagner‘s blog post last week (and subsequent newspaper filler two days later), I decided to dive into the subject of Nats award-receiving seasons. Anthony Rendon just finished 5th in NL MVP voting, the highest ranking ever for a Nats player. And three of our five starters just got Cy Young votes. 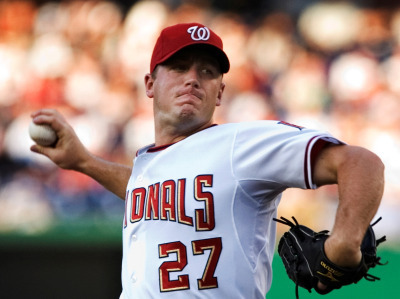 Using baseball-reference.com’s award pages as a source, here’s the history of every Washington Nationals player who has received any voting whatsoever in MVP, Cy Young or Rookie of the Year races. 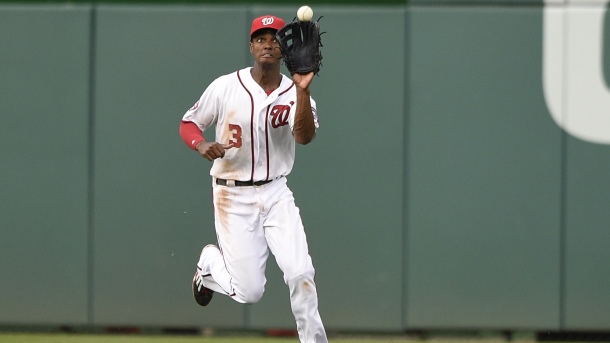 There’s only been three top-10 MVP performances in franchise history: Rendon’s sneaky good 2014, Adam LaRoche‘s 6th place 2012 finish, and Alfonso Soriano‘s 40-40 season in 2006 (also a 6th place finish). But it is kind of indicative of the balance on this team that *eight* different players have received MVP votes over the course of the last three years, and seven of them seem likely to suit up for the 2015 team. No, a 17th place MVP finish isn’t really that impressive … but it is recognition that someone thought you were a top 10 player in the league that year (the MVP ballot goes 10 deep), and that’s worth recognizing. As we mostly know, Gio Gonzalez‘s 3rd place finish in 2012 (which included a first place vote amazingly) was our closest Cy Young candidate. Amazingly, the team didn’t have a pitcher even garner a Cy Young vote from 2006-2011. It was quite a dry stretch for hurlers. Finally we have a winner! 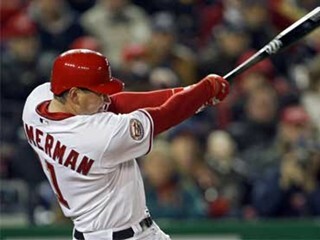 Zimmerman was a justified 2nd place in 2006 (he lost to Hanley Ramirez). Not much analysis here, just recognition of the balance of talent we have on this team and how hard it is to win one of these awards.